Seizures can occur in dogs because of many different reasons - like immune disease. 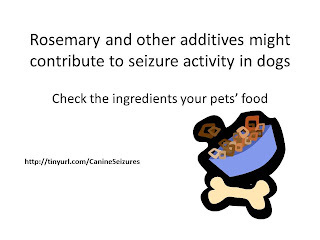 Pet parents should also be aware that certain foods can cause or exacerbate seizure activity. As more and more pet parents are demanding natural preservatives in their pet's foods, guardians should be aware that some natural additives might cause problems for some dogs. One such preservative is rosemary. There are also some herbs that can decrease an animal’s seizure threshold. It’s not the herb itself which causes the seizure, but if your pet already has a seizure disorder or a low threshold, there are certain herbs and essential oils than can trigger seizures. The herbs kava-kava, skullcap, evening primrose oil, borage seed oil, goldenseal, ginkgo, ginseng and wormwood have all been implicated. Essential oils such as eucalyptus, fennel, hyssop, pennyroyal, rosemary, sage, and tansy have also been implicated in decreasing seizure threshold. [Primrose Oil, Borage Oil]. 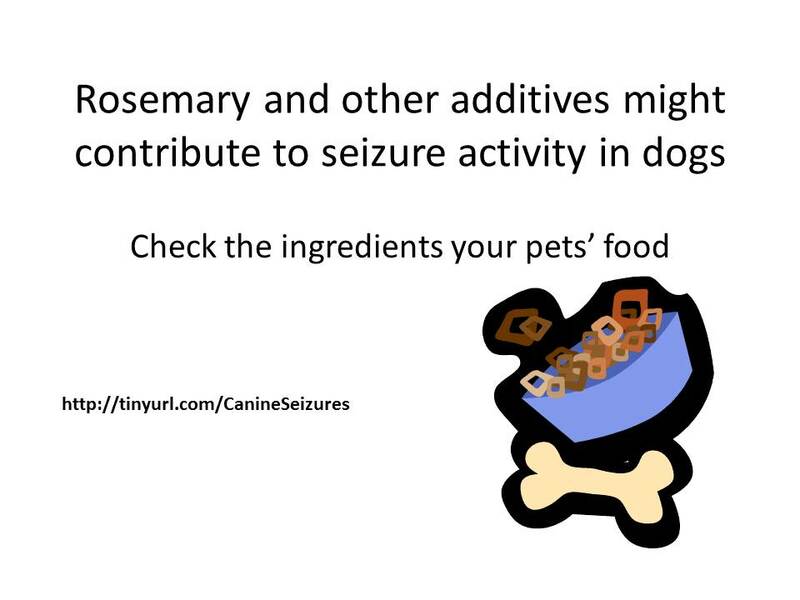 While neither will cause epilepsy, they should not be fed to dogs that already have this condition. Monosodium glutamate (MSG) is widely used, often under the term of "natural flavor enhancer," and can cause seizures, and possibly increased aggression in dogs. Although many seizures are idiopathic, meaning the cause is unknown, some seizures are caused by vaccines, encephalitis, food allergies, and other factors. When pica is caused by a nutritional deficiency or imbalance, other symptoms accompany the condition. In the May 1996 Journal of the American Holistic Veterinary Medical Association, Martin Schulman, VMD, reported that mineral deficiencies often contribute to the development of seizures. Interestingly, some pets with seizures have food allergies; this is one of the many reasons why feeding a more natural diet is recommended for seizuring pets.